Christmas is just around the corner! Have you started your Christmas shopping yet? The most awaited bazaar for the best mom and kid brands and products, Mommy Mundo Pre-Christmas Bazaar is this Sunday already, November 10 and on December 8! Mommy Mundo Bazaar is the only Christmas bazaar that has moms' needs and wants in mind. A mom lounge is available for breastfeeding moms and for diaper changing of babies! Kids get to join in the fun with FREE Face Painting and Makeover sessions. Moms also get a free hand paraffin was treatment from Aesthetic Science! 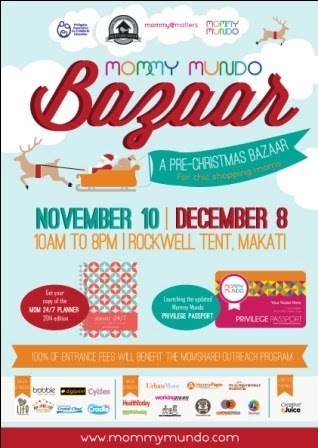 The bazaar charges Php30 only for entrance and 100% of the fee will benefit the Christmas outreach initiatives of MomShare! Find out more on www.mommymundo.com/momshare. Donations such as blankets, towels and pre-loved clothes will also be accepted to benefit the earthquake victims of Bohol. Oh! 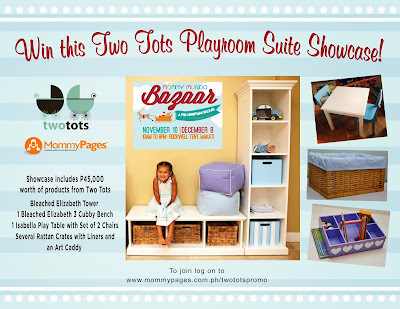 And do you want to win a Playroom Suite worth Php45,000 from Two Tots? 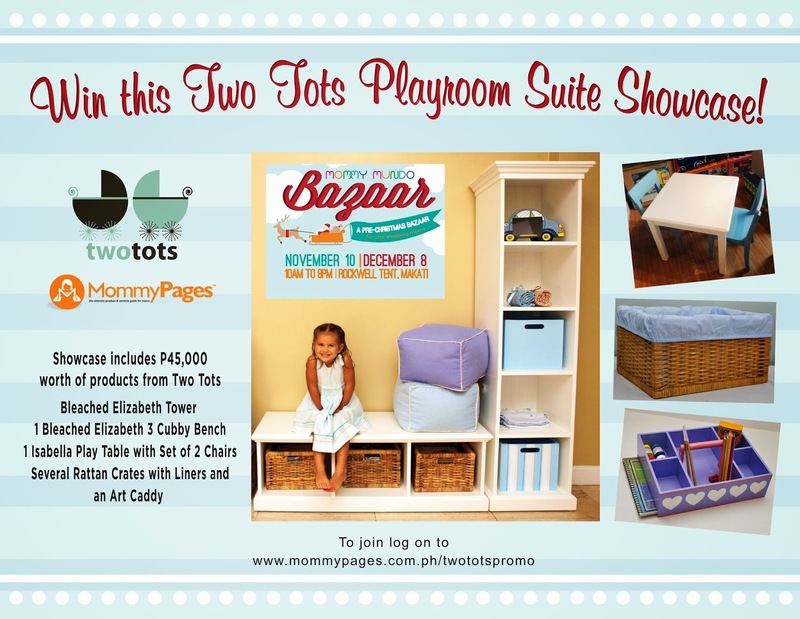 MommyPages.com.ph the ultimate producs and service website is launched anew through a grand giveaway with Two Tots! Go to www.mommypages.com.ph/twototspomo to join! And for avid Mommy Mundo Bazaar shoppers, you know that it's that time of the year when Mommy Mundo releases their Mom 24/7 Planner! I love my 2013 planner! 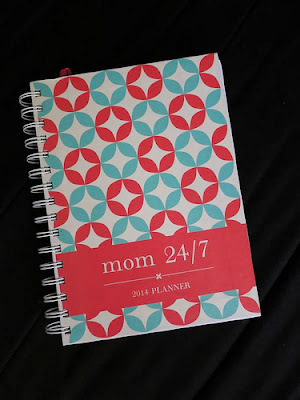 Can;t wait to get a hold of the 2014 Mom 24/7 Planner! And here's the new Mom 24/7 Planner! 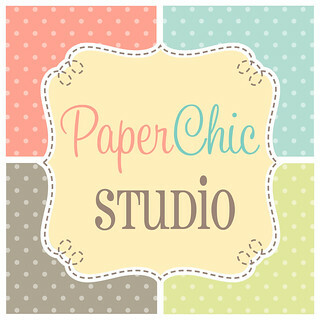 So chic right?? All of these keep moms on top of every detail. Apart from all the hustle and bustle of everyday errands and responsibilities, the Mom 24/7 planner bears pages of inspiration. With the theme “life patterns”, the planner’s contents will also nurture a mother’s well-being. Get to read through other motherhood experiences and learn from simple joys that enable other women to reflect on their individuality and emanate positivity. Lastly, the Mom 24/7 2014 planner contains special perks for the modern mom. 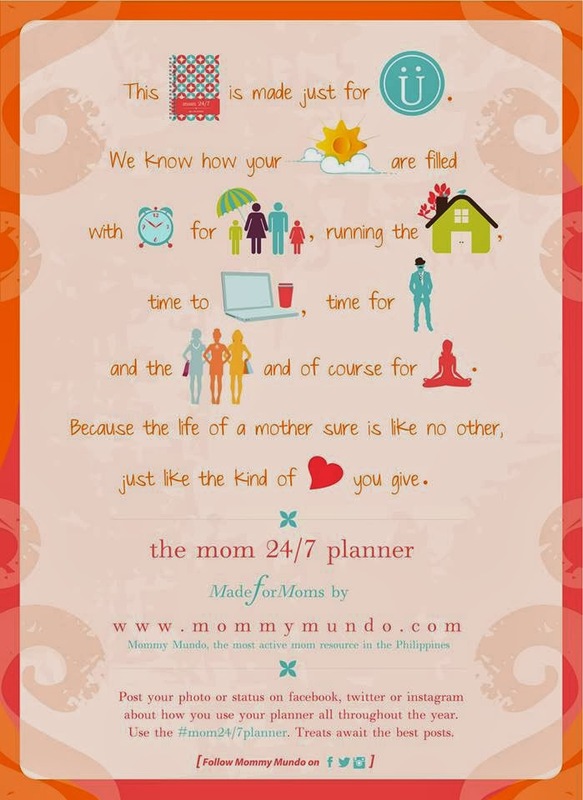 The Mom 24/7 planner holds a number of coupons from Mommy Mundo partners. Enjoy discounts and freebies from Philips Avent, Lactacyd, Havaianas, Cycles & Cradle, Mommy Matters & Nurture Nook, Mothercare, Hobbes & Landes, Silly Monkey, Bug & Kelly, Ant’s Pocket, Chic O’ Bello and Snug a Hug. 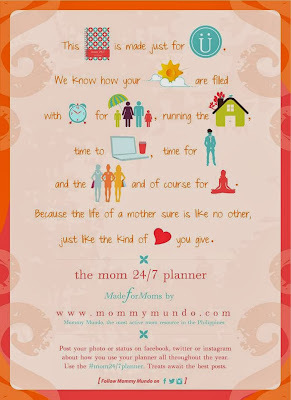 The Mom 24/7 2014 Planner will be re-launched at the Mommy Mundo Bazaar. Its new edition will be available at P395.00 per copy. 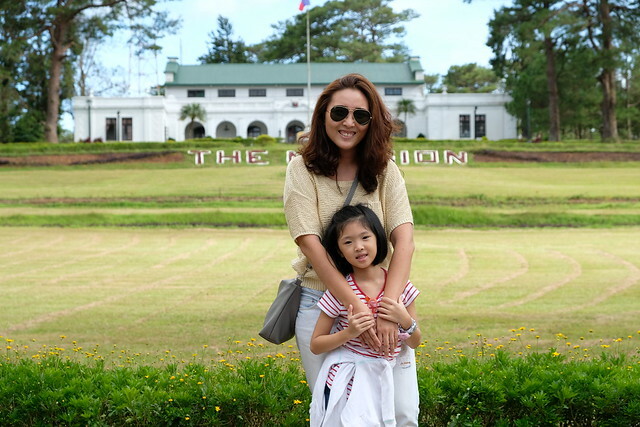 All Mommy Mundo Privilege Passport holders are entitled to a complimentary copy, strictly for “PICK UP” on the these event and dates J “MOMMY MUNDO BAZAAR” November 10-SUNDAY at Rockwell Tent and on December 08-SUNDAY 2013 from 10am to 7pm only. I love the planner! very chic! !